Mark Atherton BSc MRICS joined Legat Owen in spring 2007 and leads our Building Surveying section. 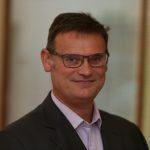 Mark graduated from Liverpool Polytechnic in 1987 and was elected Associate of the RICS building surveying division in 1989. Over a varied career he has worked in both professional consultancy and client side surveying roles and also as an insurance loss adjuster. Mark has first-hand experience in all aspects of construction consultancy including defect analysis and reporting, landlord and tenant professional work, party wall and neighbourly issues, building contract administration, insurance assessment and claims plus expert witness work. He is able to provide a client focussed commercially aware approach in achieving prompt and pragmatic solutions to complicated and contentious building issues. In Mark’s spare time he is an avid football player / supporter and also competes in the local squash league. 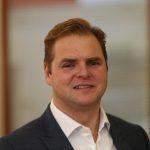 Mark is a registered valuer and is a surveyor at Legat Owen who provides valuation and professional services. 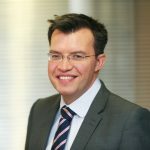 He has worked in the commercial property market in Manchester, Liverpool and throughout the North West, encompassing valuation and corporate recovery roles. 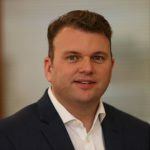 Mark’s experience is in secure lending, accounts and portfolio valuation markets with experience across a number of property sectors including specialisms in retail, offices, industrial and residential sectors. In Mark’s spare time he can usually be found participating in his child’s football team or alternatively watching football, walking, cycling or exploring the English Countryside. Mark joined Legat Owen in 2016 as a placement student following two years studying Building Surveying at Liverpool John Moores University. 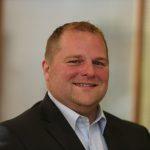 After initially working within Office Agency, Mark followed his passion and joined the Building Surveying Department in 2017. Mark is to return to university part time in September 2017 to complete his degree whilst continuing to work for Legat Owen. He is also working towards becoming a member of the Royal Institute of Chartered Surveyors by completing his Assessment of Professional Competence. In his spare time Mark is a keen sports enthusiast and enjoys most sports including football, squash and boxing and recently took up rock climbing.